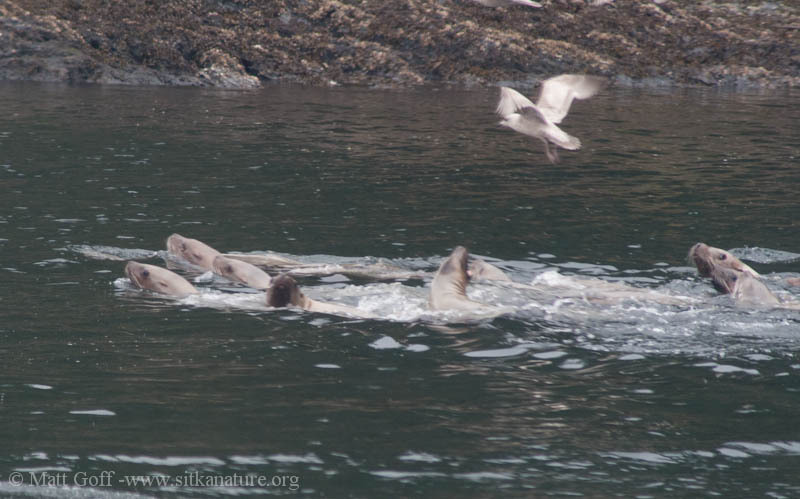 Spent the morning on the Food Web Cruise fund raiser for Sitka WhaleFest. They asked me to be aboard as the bird expert. It’s typically an enjoyable ride on an Alen Marine Sightseeing Vessel. We saw several whales, sea otters, Steller Sea Lions, and of course many birds. Later this evening I went for a walk to scan gull flocks along the channel. Didn’t find anything unusual. Stellar Sea Lions have returned in numbers to feast on the herring moving into shallow waters to spawn. 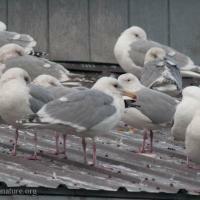 Three species of gull are shown in this picture of gulls resting on a building along the waterfront. 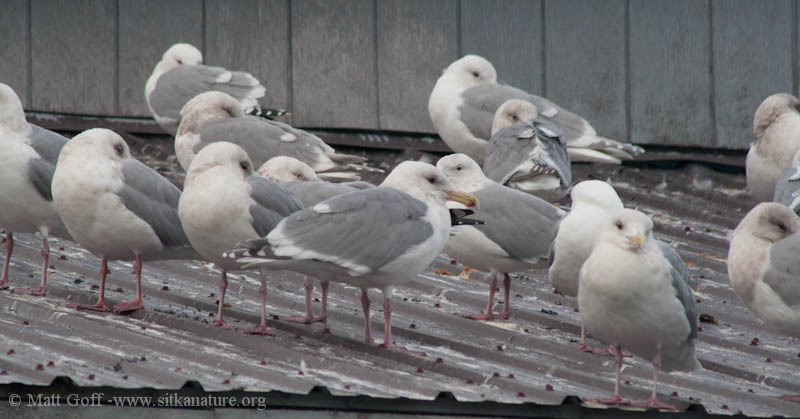 This entry was posted in birds, fish, marinemammal, photojournal and tagged Allen Marine, Glaucous-winged Gull, Herring, Herring Gull, steller sea lion, Thayer's Gull. Bookmark the permalink. Your photos continue to make me pine for the homecoming, as I count down the final few weeks Down South. Joel just headed up to the Jasper area for a photography mission. Camping in 12 degrees… No, thanks! 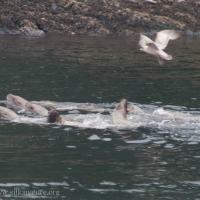 Glad to link – I’m trying link all the blogs based on the Northwest Coast that feature natural history related posts. I’m sure there are quite a few more, especially down in Washington and Oregon, but I’m mostly trying to focus on blogs based in Southeast Alaska and the coast of BC (especially anything from further north) – so your’s is a good fit. 12 degrees does sound a bit chilly – I think that’s cold for mid-winter, and I’m happy to see temperatures trending upward. Good luck on your trip north and the upcoming season!